provide space for more valuable items and a more appealing, up-to- date collection, makes the library easier to use, helps to eliminate inappropriate items, and gives the school and administration feedback on strengths and weaknesses of the collection." These books were donated to the school used book sale, local day cares and a doctor's office. The remainder were donated to Discover Books. Over the summer, Mrs. Hautala completed the School Library Media Endorsement Program through the UW. She now has an endorsement as a school library media specialist (SLMS) K-12. A SLMS, is a certified librarian who also has training in teaching. "This was an intense year long program where I gained knowledge and skills to be an efficient and effective Teacher-Librarian. My mission is to ensure that students are effective users and producers of ideas and information." 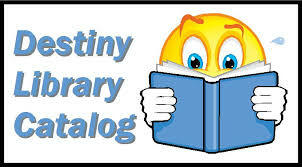 Prior to the start of the 2017-2018 school year, the old Follett cataloging system was replaced with Destiny Quest. Students, teachers and families will be able to access the online STFOA library catalog at anytime from anywhere. The system has many great features such as: efficiently updating records, adding new titles, sending electronic overdue notices, allowing students to keep record of books they've read, putting books on hold etc. Our library was generously gifted with 74 audio books! Not only are these CD's fun to listen to during free time, but are also a great way to pass the time on a road trip or long flight. These audio books are available for students or families to check out. Below is a list of the titles, authors, duration of book, number of CD's and age recommendations.